It may be winter, but it doesn't mean you should stop your daily walks! To convince you, here's the anatomy of walking from Everybody Walk. 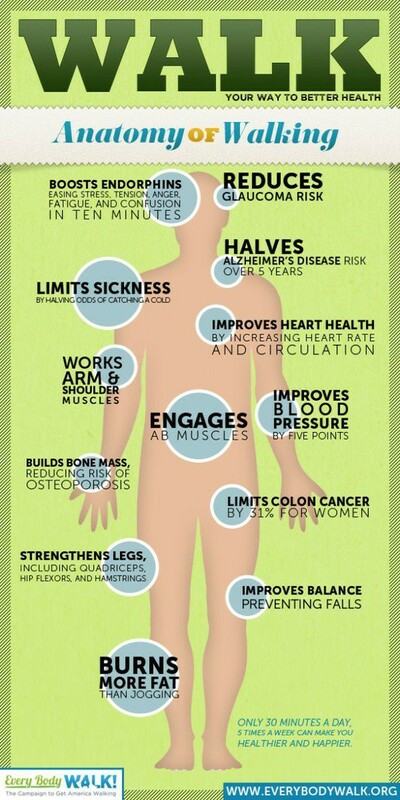 Check out all of the benefits for different areas of your body and visit their website to find walking paths, local walking groups and more!